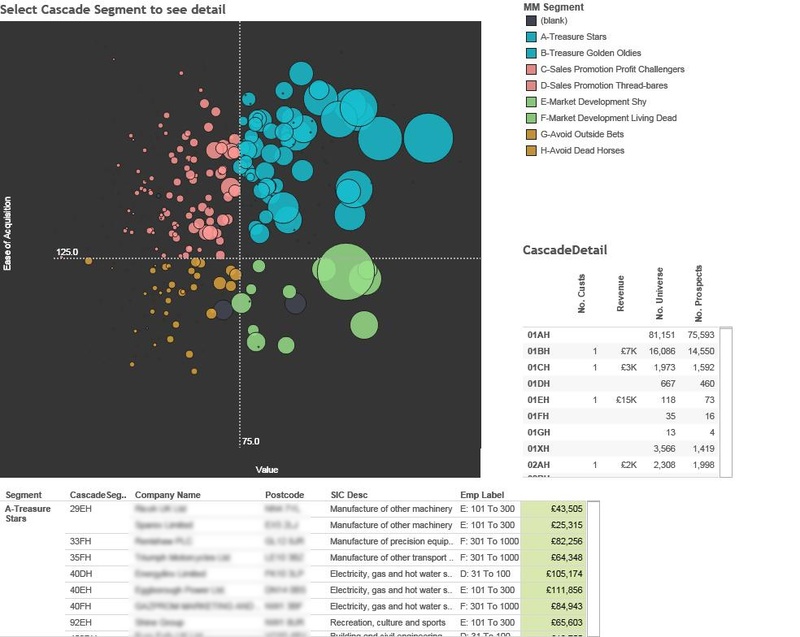 Our Money Mapping service enriches and scores your customers by matching them to unique insights from our UK Business and Consumer Universe. We supercharge your data to build complex customer segments that will redefine your marketing strategy and optimise the effectiveness of your campaigns. You can get a free proof of concept before you make any commitment to us. We'll arrange a secure transfer of your customer data to us and will provide a report highlighting data quality, revenue opportunities, efficiency savings and a new prospect pool. Try out Blue Sheep’s Money Mapping tool. We’ll analyse your customers and tell you things about them you didn’t know. Who spends big and stays long? 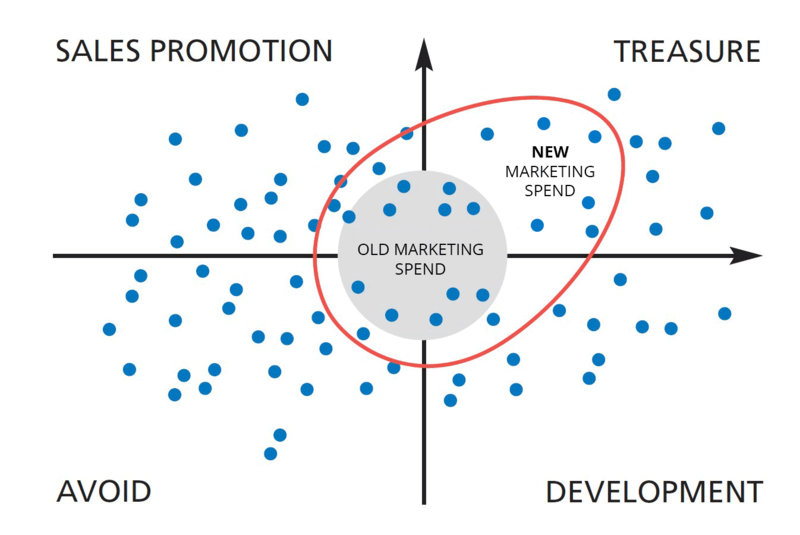 Who’s wasting your marketing budget? Where is best to acquire more prospects? Money Mapping is a data-driven segmentation service that works on the principles of the 80:20 rule ('Pareto's Law'), ensuring that customers are treated appropriately and discriminately based on their profitability to your organisation. By enhancing and enriching a customer database using billions of potentially critical insights from our UK Business and Consumer Universe, we can help to identify any revenue that is at risk from bad and inconsistent data. We then use unique Money Mapping algorithms to create powerful customer segments.  These segments form the backbone of insights for future business decisions, reliable forecasts, marketing technology investments, CRM strategies, marketing campaigns and customer service improvements. By modelling customers for their growth and lifetime value, their likely spend, ease-of-acquisition, cost-of-acquisition and other profitable variables, we then match profiles back to the UK Business and Consumer Universe. From this we build your bespoke pool of future customers that you know will spend big and stay loyal. This is your 'Treasure' segment. 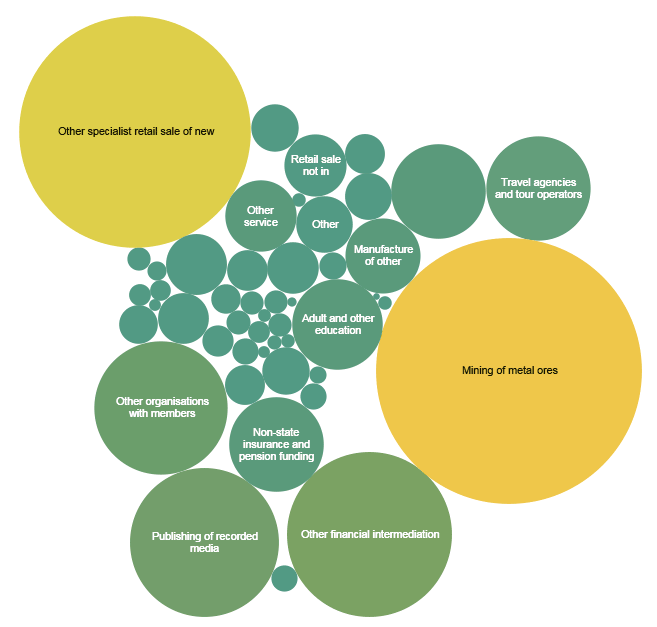 Of course, Money Mapping also pinpoints customers that are draining resources, budgets and spend comparatively less. These are potentially damaging the profitability and effectiveness of your organisation. Again, by matching these 'Avoid' segments back to the UK Business and Consumer Universe, Money Mapping helps marketers and the business to focus time, energy, cost and resource on highly effective money-making opportunities. Simply by applying Money Mapping insights and scores to their data, our clients at Blue Sheep have demonstrated an increase in profitability by as much as 30%. By recognising 'Treasure' customers and then refocusing a larger proportion of marketing expenditure, marketers will see profound uplifts in the profitability of their customers and higher ROI of marketing campaigns and initiatives. Find out how Rapid Racking achieved an 11% uplift in sales and 30% growth in profits with Money Mapping. In the last 12 months Money Mapping has helped to save £billions in revenue for clients by identifying inconsistencies, duplicates, errors and gaps in customer data. By using economic forecast models and geographical overlays spliced with market penetration and revenue scores, along with bespoke investigations of the data for each client, we help to provide a situational analysis that becomes the foundation for future marketing and business decisions. 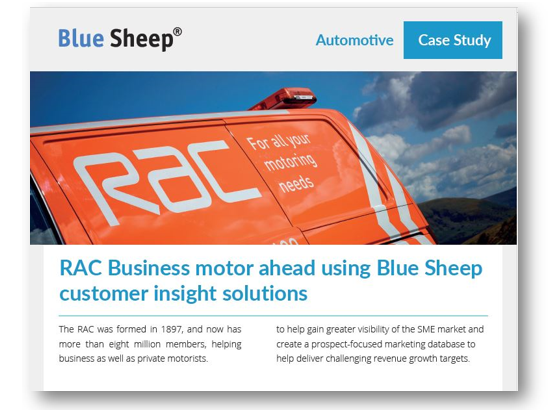 Find out how RAC use insights from Blue Sheep Money Mapping for identifying most profitable customer segments. Discover who to "Treasure" and "Avoid"
Through Money Mapping and the awesome power of our UK Business and Consumer Universe, you'll benefit from a prospect pool of high spending, long lasting future customers that can completely transform your business. In fact, in the last 12 months we've identified £17.8 billion in potential new revenue for our Money Mapping clients by matching high value 'Treasure' customers back to our aggregated source of 25 data suppliers. Find out how much revenue has been discovered and saved using Money Mapping customer insights over the past 12 month. Businesses that neglect their data become the harbingers of their own failure by making poorly informed decisions, wastefully spending money on marketing and locked in a state of ineffectiveness. The Blue Sheep Money Mapping service not only cleanses and enhances your data for insights, but ensures your online and offline marketing campaigns, technology purchases and CRM strategies are optimised to succeed and generate the best results. Find out how Print Strategy ensure that direct mail and print campaigns for their clients succeed using Blue Sheep. "The analysis has helped Hotel Chocolat significantly in its strategic aims of identifying and operating in market sectors which deliver good profitable business in sizable market areas. 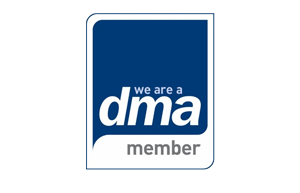 It enabled us to move away from expensive cold catalogue mailings and look at how we can use integrated marketing to reduce our costs and improve our sales performance. A great result." 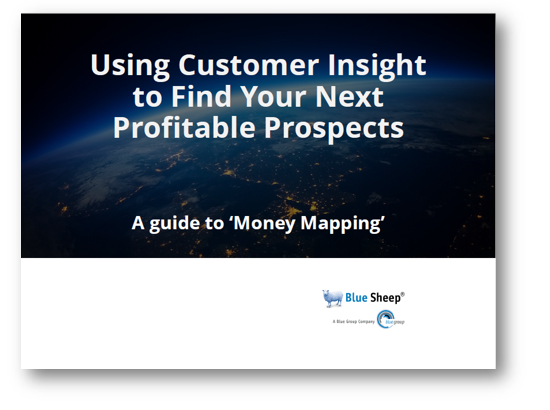 How Blue Sheep's Money Map can analyse your customer base and enable the intelligent use of your marketing resources for maximum effectiveness. Read how Blue Sheep helped Rapid Racking, using Money Mapping customer insight to improve its acquisition strategies and grow profits and sales. 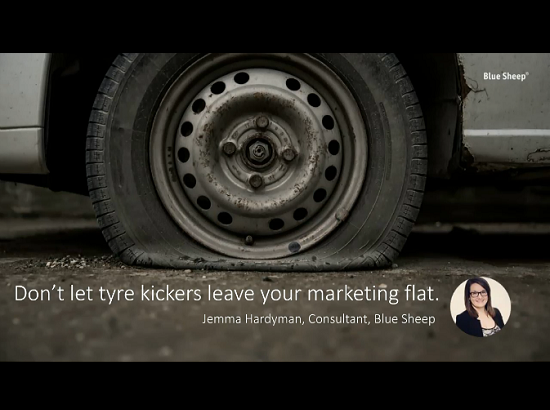 How many hours do sales and marketing waste on 'Tyre Kicker' prospects who never buy? Learn how devote your efforts on the right prospects that spend big and stay longer! With the help of Blue Sheep Money Map customer insight, RAC Business is able to better identify new fleet car customers within the profitable UK SME market. How dirty is your database?